We are the largest auto wreckers in Melbourne. We have range of cheap new and used Renault parts available for all models. Some of our popular Renault stocks are available on request, please call our Renault Salvage team to inquire. Wreckzone has professional team and licensed Renault Salvage. We are environmentally concerned company that is why we want to recycle as much auto parts as we can and also to apply proper disposal of vehicles. Because we believe that every vehicle is important to us. We offer good money for all Renault cars, vans, trucks and 4wds. We welcome Renault in any condition, make, model, age with free pick up, towing and removal. That’s why we are best in Renault Salvage. When you have decided to sell your Renault, all you need to do is to call us. Our process is really simple and easy because once you have provided us with the details of your Renault such as make, year, model and any mechanical issues we will then provide you with a fair amount for the value of your Renault car, van or 4wd. As an added bonus, we will provide a free Renault car removal service so you do not have to worry about getting road worthy certificate or driving it over to our wreck yard. And the beauty with our service is that we will give you cash for old Renault instantly. If you are thinking to wreck your Renault vehicle, then Wreckzone is here to serve you. We pay up to $9,999 instant cash for all Renault vehicles including, free pick up, removal and documentation from all suburbs in Melbourne. You don’t need to spend any money for vehicle towing from your place to our LAVERTON car wrecking center. We already have everything for your Renault vehicle pick up and removal. And there will be no charges or fees in your final receipt. This is a bonus from our side to all Renault vehicle owners so that they can get good money without any extra charges for their old, damaged and unwanted Renault vehicles. If your Renault car needs too much repairs, is too old, or badly wrecked from an accident that you want to let it go, we’ll gladly take them off your hands in no time, free of charge. And no matter how bad its condition is, we’ll even pay you top cash for cars of all kinds under the renowned Renault brand. Trust us to deliver excellent services and provide outstanding payment for your cars. Call us now at 04 1072 6726. All Renault parts are available including complete engines, transmissions, seats, doors, bonnets, bumpers, headlights, tail lights, tyres, wheels and rims and many more parts. Apart from being Renault Salvage, WRECKZONE’ core expertise lies in dismantling all make and models of cars and deals in supplying quality second hand car parts. Functional and recyclable auto parts are salvaged. When you deal with WRECKZONE, you will certainly get your money’s worth and contentment. 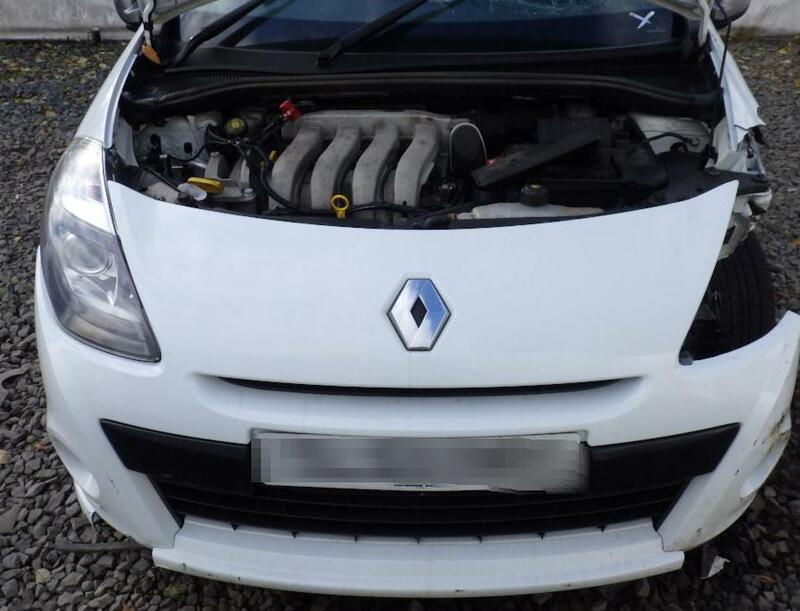 This entry was posted in Auto Wrecking and tagged Captur, Clio, Duster, Espace, Fluence, Kadjar, Koleos, Laguna, Premium, Renault 18, Renault 19, Renault 21, Renault 25, Renault 4, Renault 5, renault bus wreckers, renault clio spares, Renault dismantlers, Renault Express, Renault Fourgonette, Renault Kangoo, Renault Kerax, Renault Magnum, Renault Mascott, Renault Master, Renault Maxity, renault megan wreckers, Renault Midlum, Renault recyclers Melbourne, Renault Salvage, Renault salvage Melbourne, Renault Salvage NZD, Renault Salvage Service, Renault salvage yard melbourne, Renault Trafic, RENAULT used car parts, Renault used parts, renault van wreckers, Renault wreckers, Renault Wreckers dandenong, Renault Wreckers Melbourne, Renault wreckers victoria, Renault wrecking yard, Safrane, Sandero, Satis, Scénic, Sport Spider, Talisman, Thalia, Twingo, Twizy, Vel, Wind, Zoe on September 21, 2017 by Wreckzone.